SANTA PAULA, CA - On the first week of Christmas Limoneira gave to me: health in holiday eating, festive recipes, and a partridge in a lemon tree. As consumers gear up for the seasons eatings, the company spokesperson Megan Roosevelt provides plenty of ideas on how to zest up holiday recipes. This season, Limoneira is focusing on options for some lemony dishes to lighten your holiday table. 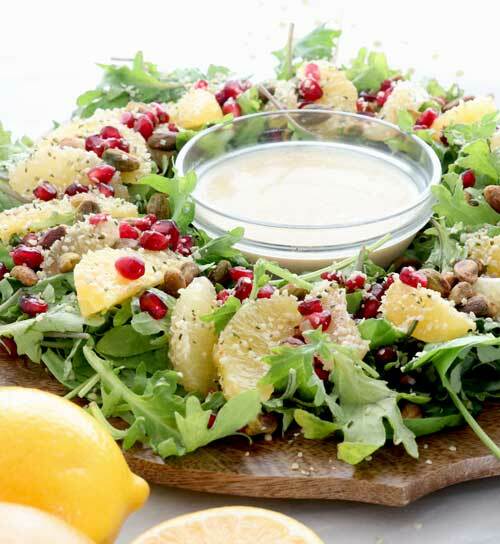 Check out the recipe below for a fun salad sure to be the perfect centerpiece for consumers tables and have them sprinting for the citrus this December. 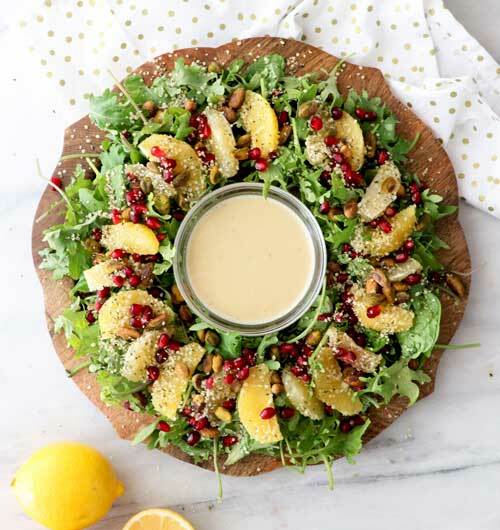 Let this festive salad wreath your holiday table and lighten the load of carbs and meat by introducing the freshness of the meyer lemon. Directions: Whisk together lemon juice, honey, champagne vinegar, olive oil, dijon mustard, salt, and pepper until the salt has dissolved and the dressing is emulsified. Place greens on a large serving platter and arrange oranges, Meyer lemons, pistachios, pomegranate, and hemp seeds over the greens in a circular pattern—like a Holiday wreath! Leaf a spot in the center to add a small dish for the salad dressing. Dress salad just before serving and enjoy! Looking for ideas on the best way to dress your holiday wreath salad? Check out Megan Roosevelt’s tutorial on the Limoneira YouTube channel for more ideas. AndNowUKnow looks forward to reporting more innovative ways to make produce the focus of consumer feasts this holiday season.